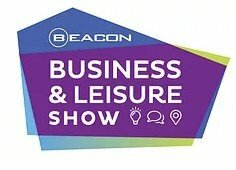 SCENAR technology will be demonstrated during the Beacon Business and Leisure Show, Whakatane by Dr. Jorg Prinz – our official distributor and trainer for New Zealand. Come and have a chat with Jorg to find out how SCENAR works and how can you benefit from the technology. If you are a health care practitioner you can learn how it can enhance your practice. We will be offering great product specials during the event, so if you are already thinking of getting a device please visit us and you will be surprised by the offers we have prepared.